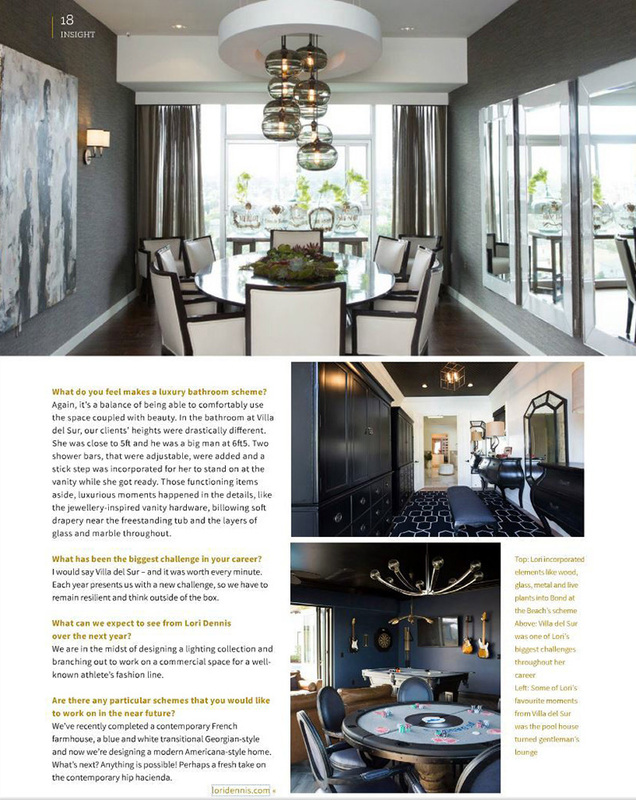 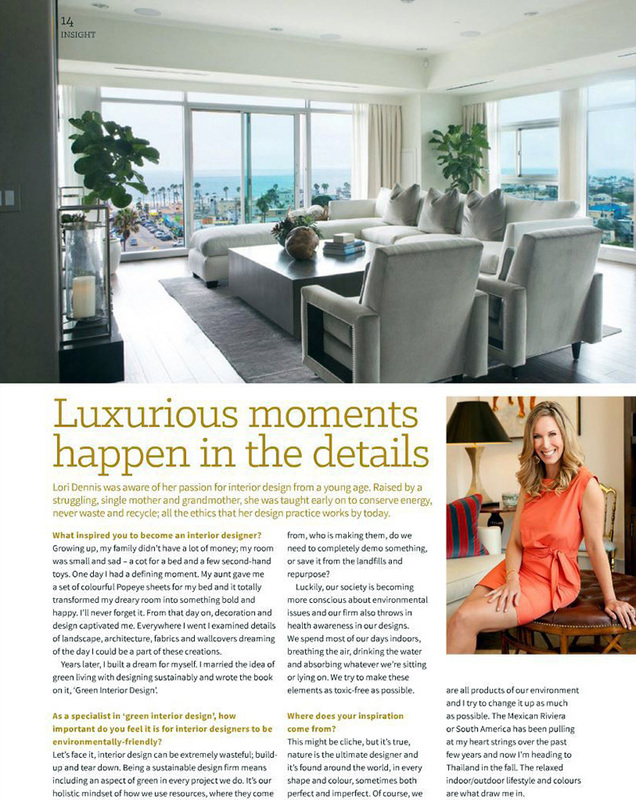 Our Los Angeles interior design partner, celebrity interior designer, Lori Dennis is profiled in this article highlighting two of our most recent projects, Bond at the Beach and Villa Del Sur, showing our skills as one of the best general contractors in Los Angeles. 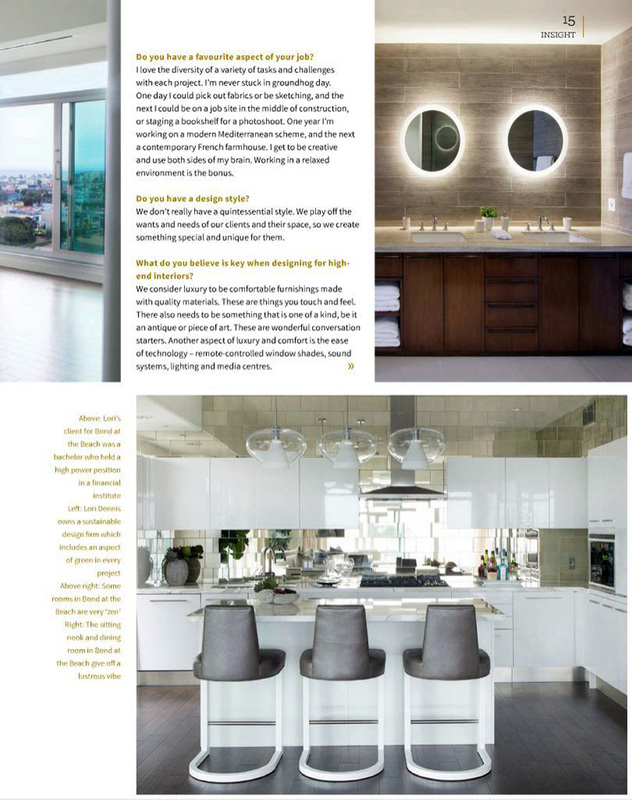 Bond at the Beach is a high rise, condominium renovation in Venice, California, built and furnished in a modern, contemporary style for a Goldman Sachs Executive. 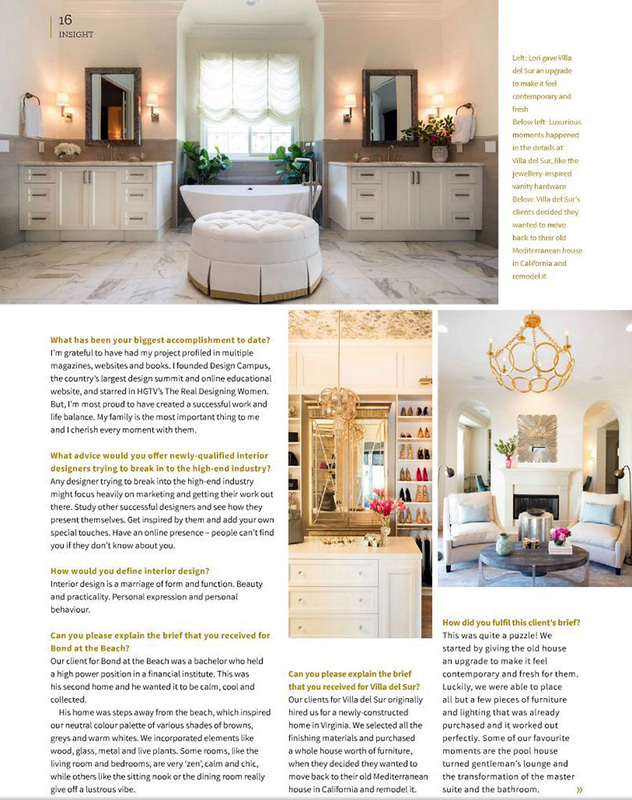 Villa Del Sur , a North, San Diego estate, is a residential remodel in a hip hacienda style and owned by a defense executive.